If you have ever crashed hard, you know the steering column can leave a big dent in your chest. 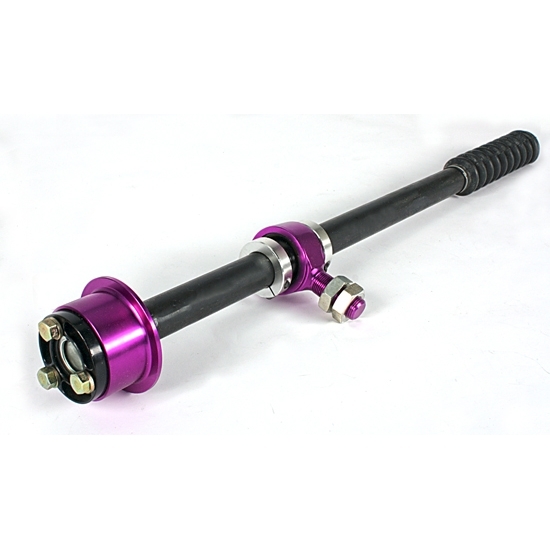 These collapsible steering columns are not only safer, but much easier to install. Includes easy-install steering wheel disconnect and 3/4" mounting rod end. Adjustable from 32" to 42" in length. O.D. of the main body is 1.125"